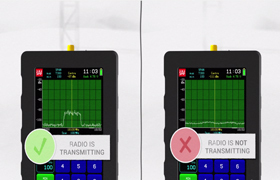 The world’s first powerful handheld microwave spectrum analyzer. Truly hand-held device, designed specifically for convenient outdoor use in a variety of challenging environments. 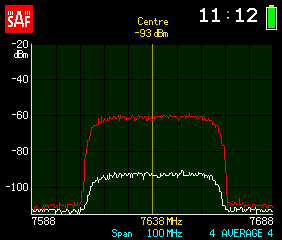 Industry leading receiver sensitivity in all frequency range allows to discover even weak signals. 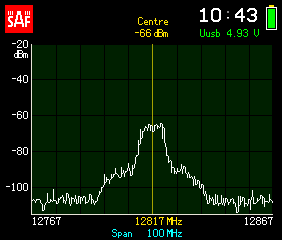 Can be used with antennas from other manufacturers and radio system. Watch this tutorial to learn all the information about line of sight verification using SG Compact. In it you can find the basics of line of sight, step by step guide of how to detect it and what tools you will need to get the job done. Whether you have many years of experience in this industry or you are completely new to it - this guide can help you get the answers that you have been looking for. 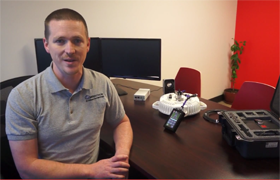 This video tutorial demonstrates how easy it is to verify whether the antenna is transmitting from the ground level, and how to adjust the antenna to the main lobe – with all those actions taking less than half an hour of work. 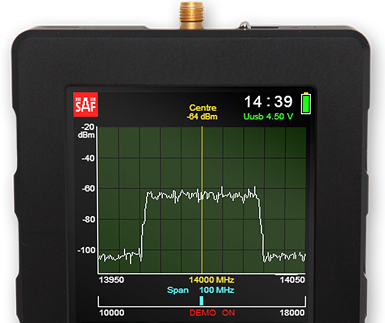 SAF Spectrum Compact is a perfect tool for microwave field engineers. It is small, light and easy to use for a single person working on ground as well as when climbing on towers. Many tasks that previously took many hours of at least a few people’s work, can now be done by a single person in a significantly smaller amount of time. 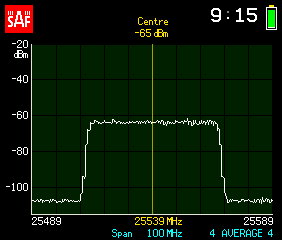 Radio frequency and bandwidth verification from ground level has been a frequent wish among microwave engineers. But the market didn't really offer an affordable solution... until now! With SAF Spectrum Compact it takes only a few minutes to make sure your microwave link perfectly matches your licence. 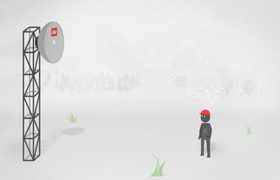 Watch the fourth episode of the Spectrum Compact animated video tutorial, which is all about making your life easier. 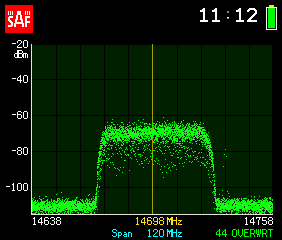 Wouldn't it be great if you could detect the out-of-band interferences without interrupting the traffic of your microwave link? Well, there's defenitely one great way to do it by using SAF Spectrum Compact! Watch the video to learn how! 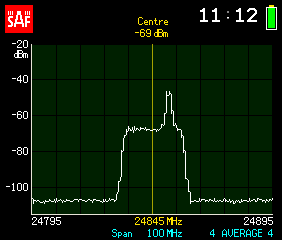 Need to verify whether a radio is working but don’t want to climb that tower? With SAF Spectrum Compact you don't have to! 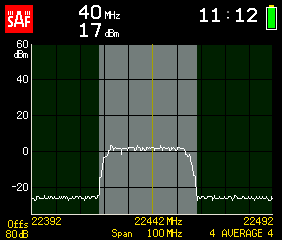 Our device lets you verify the installed radio's status and transmitted signal from ground level. 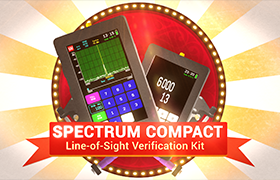 This is the first episode in the series of tutorials intended to explain the vast functionality of the world's first hand-held spectrum analyzer - SAF Spectrum Compact. 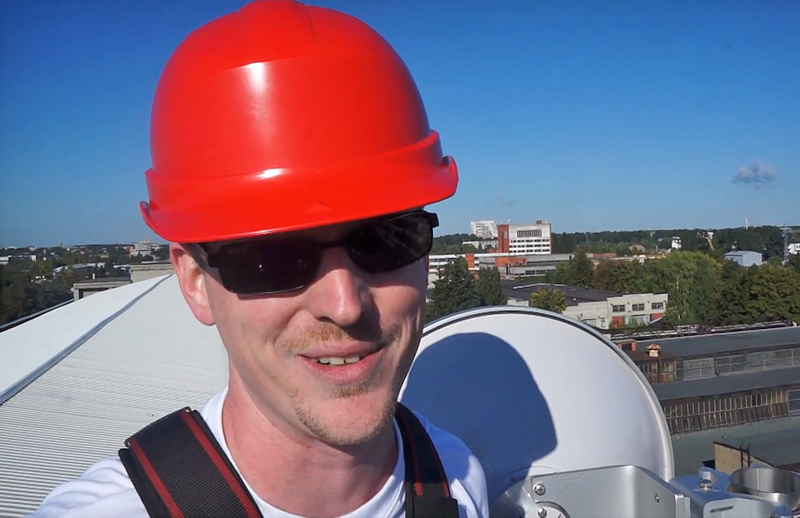 In this episode Peter Spectrum shows how to easily verify the polarization of an installed microwave antenna from ground level. Leather bag for Spectrum Compact. 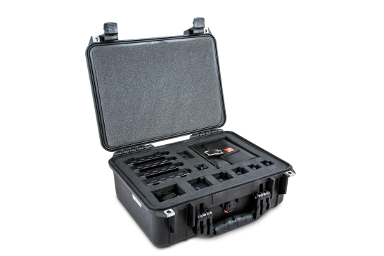 Watertight, crush proof and dust proof cases for Spectrum Compact. Can hold a kit of 3 or 5 Spectrum Compact units including waveguide adapters and accessories. Conical horn antennas 6 - 10 GHz, 11 - 15 GHz,17 - 24 GHz and 26 - 40 GHz. Coaxial attenuator kit, 40 + 20 dB, DC to 26 GHz, 2 W.
Horn antennas 2 pcs., simple mount, water and shock proof case, riflescope and tripod. Riflescope and tripod for Sniffer antennas.